It’s July FAVORITES TIME !!! Anime watching during July was much better progress with the big change of upgraded internet. Which I am over the moon about and very grateful to be able to watch a few more anime titles online. It was convention month and I picked up a anime movie, I’d had been wanting to see for such a long while. 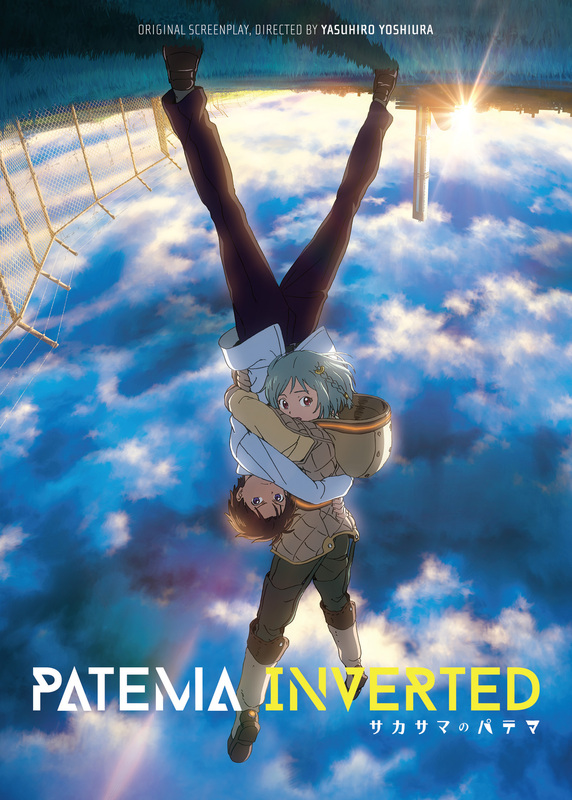 Patema Inverted the premise of the story is gravity is on noone’s side, the whole world is split one being the right side up, other side not. Patema curiosity of the world above her leads her to meeting Age. The two teenagers discover the both one another’s world and secrets that behind it all. I am currently writing a review for this heart warming movie. I don’t want to give my give away my thoughts now but this movie is well worth anyone’s time. Stay tuned for the upcoming thoughts on this film. 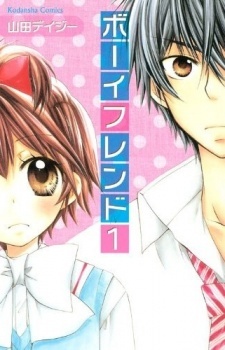 Boyfriend I featured in my Before Bed Shoujo Reads , I read this manga earlier in the month. It was a very cute and enjoyable read perfect shoujo to read before bed. The plot is typical a girl Hijiki is started a new school, meets a boy Hourai and you can kind of guess where it goes from there. I loved the main protagonist Hijiki, is the reason I got teary for the first time ever reading a manga. All the unfortunate things that kept happening to her, just made me cling to her character, but she was a trier. Very cliche for your shoujo of course but this manga was enough to make me teary, I don’t know that is personal thing I experienced. July was a bit dead for finding a new song to fall in love with. I’ve been when reading manga to listen to some anime OST, one of my favorites lately has been the Nagi no Asukara OST 2. I’ve listened to the first one, and the second is amazing as the first, it’s so wonderful to listen to. All the OST for Nagi no Asukara reflect that aquatic factor and the harmonically, soft tones that blend indivisibly at tension times during the show. It is an album with out question, makes you wish you were at the beach or looking at the ocean. Who didn’t see this coming? Sailor Neptune is a major favorite for this month. I’ve never fell in love with a figure before, was a bargain for $30. I didn’t think I would find a buy like this at the convention, I should have got Sailor Uranus which was also on sale. She is just gorgeous and I am in love. This does include in nerdy. With the explosion of Pokemon Go this month, it became an easy favorite. Though I am not like others who were beyond level 20 after the first week of it being out. I’m on level 8 and I just keep getting told to up my game, but my area I live in doesn’t have many poke-stops. Too many sandshrews and mankey’s everywhere also ugh. 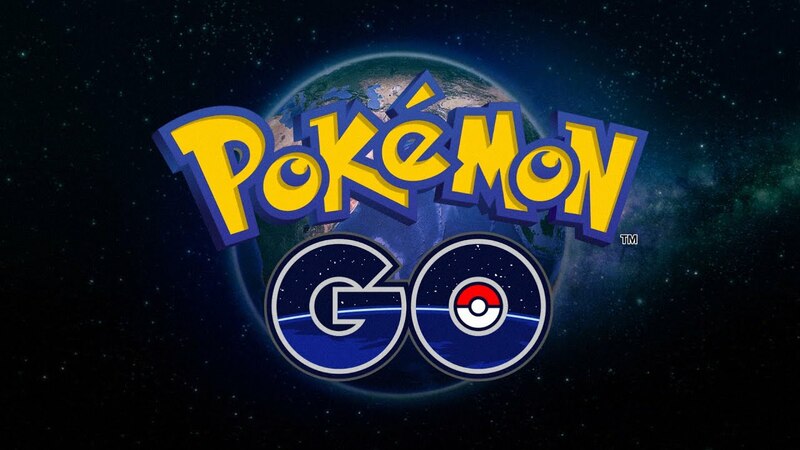 I’m not fully invested in this game yet, I like to play it when I’m out and about or go for a walk. It’s a fun app, with all the questioning over the game, of all these incidents appearing on the news of people being stupid. Playing it while driving, not looking when crossing the street still this comes down to human stupidity. The app did none of those things, the users did. All this controversy over the game I find ridiculous, when people need to look at the bigger picture. My Kilala plushie even though was for my Sango Cosplay, just love it so much. I haven’t bought a plushie in a very long time because when I was younger I was a mad plushie collector. I feel if I started again it would become as bad as it did when I was younger but she happily sits next my mew and pikachu, they are all buddies. I’m really enjoying doing these favorites and hope people are enjoying them as well!! Next Lita’s Blogger Feature Friday: Post A Rama!! Ask questions if you need any! You’re welcome :). Take your time and surprise us! Ask me questions if you need help.